Tamara Stuby presents two complementary projects dealing with public space and time. 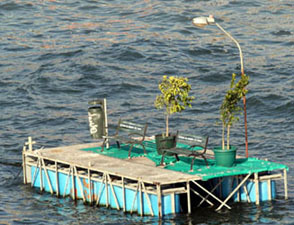 The first involves making a small floating segment of public square, set out in the middle of the bay. Impacted by descriptions of the almost evolutionary process through which the city had gradually gained ground over the sea, it occurred to her to suggest a case where the sea had gained a small bit of land. Including a piece of public space also implied considering the bay as an extension of the city's urban weave: a place of work, transit and private property, where public spaces exist as an exception. 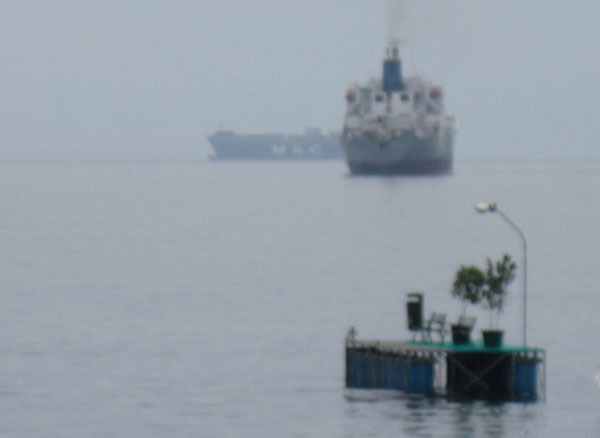 This strong contrast with the imagery usually associated with the sea arises from the artist's reflection on the reality of a port that has been privatized. The piece itself is elaborated using the classic icons of a public square: there are two park benches, a tree, a trash bin and a lamp post, all installed on a floating platform. 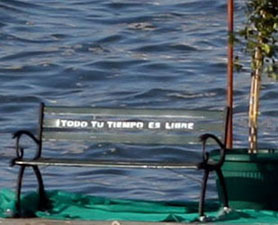 A phrase is spray-painted on each bench: "Todo tu tiempo es libre" (All your time is free), which oscillates ambiguously between a subversive expression in the face of a world of capitalism and a message instructing the public regarding the use of public spaces. The concept of public space is thus unfolded to include the notion of time, a confrontation of one's (private) free time versus the time that in a way pertains to one's participation in the social (public) sphere. 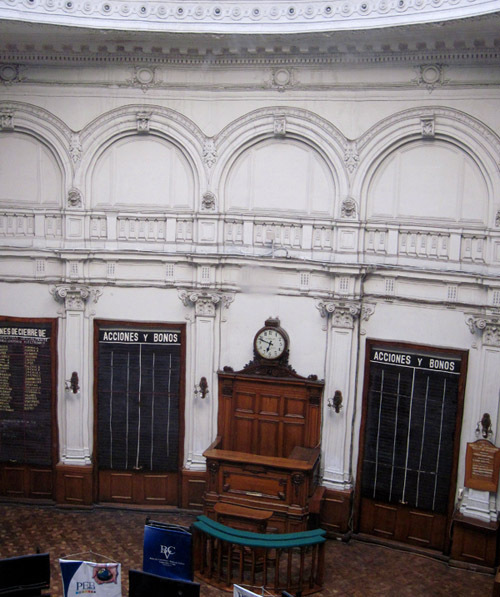 The second project (not completed due to the earthquake) was based on another phrase, "Si el tiempo no fuera dinero, no podrías desperdiciarlo" (If time weren't money, you wouldn't be able to waste it"), located this time in Valparaíso's old Stock Exchange building. The institution that best represents the trafficking of stocks (valores in Spanish, literally values) is most widely used today by people who spend free time there (sitting to have lunch or read the newspaper). Huge chalkboards that used to register the dynamic activity of buying and selling still cover the walls, now displaced to mere background decoration, replaced by monitors that fulfill their previous function. Stuby proposed to activate the old chalkboards with her phrase, writing it repeatedly in chalk until completely filling all of them, like some sort of corrective behavior as punishment, memorization strategy or self-help tactic. After the action of writing has finished, the reiterated phrase would remain as a mute commentary on the value of time and freedom.